What are Type-C Conductive Bulk Bags? Type-C conductive Bulk Bags are designed with the fabric having interconnected threads that are conductive in nature. These need special filling and discharge systems for making them electrically grounded during these processes. Select electrically-conductive materials are used for making these bags. What are the advantages of Type-C Conductive Bulk Bags? 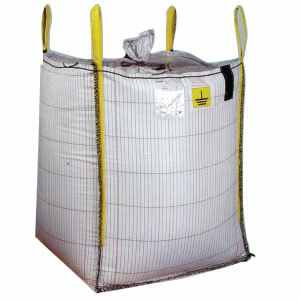 Type-C Conductive Bulk Bags provide efficient storing and transporting of volatile liquids specially. These are electrically grounded to ensure that the flammable materials stored within do not catch fire due to an unwanted discharge while storage or filling. These are most advantageous for storing goods within highly volatile environment which contains flammable dust, vapors or solvents. The strategically placed grounding cables attached in the design of the bag makes it efficient and easy to use. What are Type-C Conductive Bulk Bags useful for? 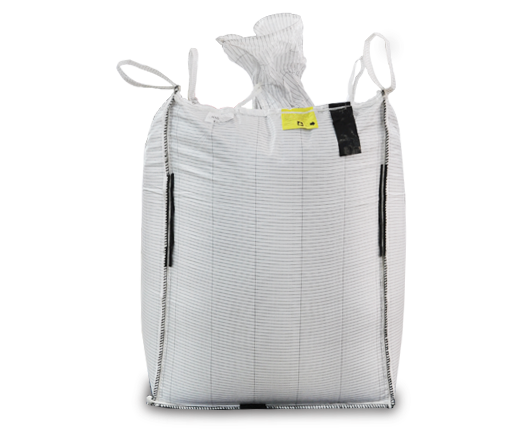 Type-C Conductive Bulk Bags are used for storing highly volatile liquid or other materials. The electrically grounded bag material allows storing such goods around other inflammable goods and in a potentially volatile environment safely and with comparatively higher efficiency. Why choose Simplex Chemopack Type-C Conductive Bulk Bags? Simplex Chemopack Private Limited is a renowned provider of efficient and advanced bulk storage bags and other packing solutions. The Type-C Conductive Bulk Bags from Simplex are made of high-grade materials and the grounding points are attached with special care to ensure higher reliability and durability of the bags.